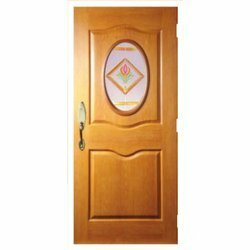 We are a leading Manufacturer of designer two panel glass doors from Coimbatore, India. Designer Two Panel Glass Doors offered come designed with double pane glass as well as solid wood construction that make these provide for both elegance and durable finish as desired by the customers. As one of its kind interior doors, these can also be delivered in custom chosen glass styles which match up to the exterior doors. Further, the collection can also be customized on other parameters as desired by the customers. Looking for Designer Two Panel Glass Doors ?